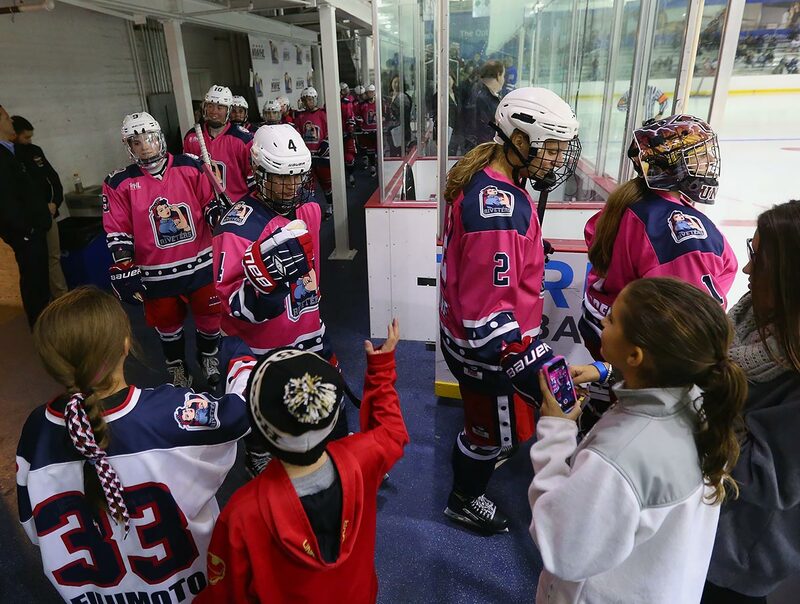 The tiny NWHL is attracting attention and providing a professional home for female players who are "too good to ignore." Chelsea Laden thought she was finished. Quinnipiac University’s women’s hockey goalie imagined she’d be ready to hang up her skates at the end of her senior season last winter—but perhaps that was just because she didn’t think she had another option. Laden, who plans to attend medical school, knew that to follow her dream of becoming a doctor, she’d do best to stay in the United States to rack up clinical hours and study for the Medical College Admission Test. Doing so, she thought, would’ve meant an end to her meaningful hockey. As of last winter, the Boston Blades of the Canadian Women’s Hockey League and the Minnesota Whitecaps of the Western Women’s Hockey League were the only professional options for someone like Laden. But toward the end of her time at Quinnipiac, Laden heard chatter. 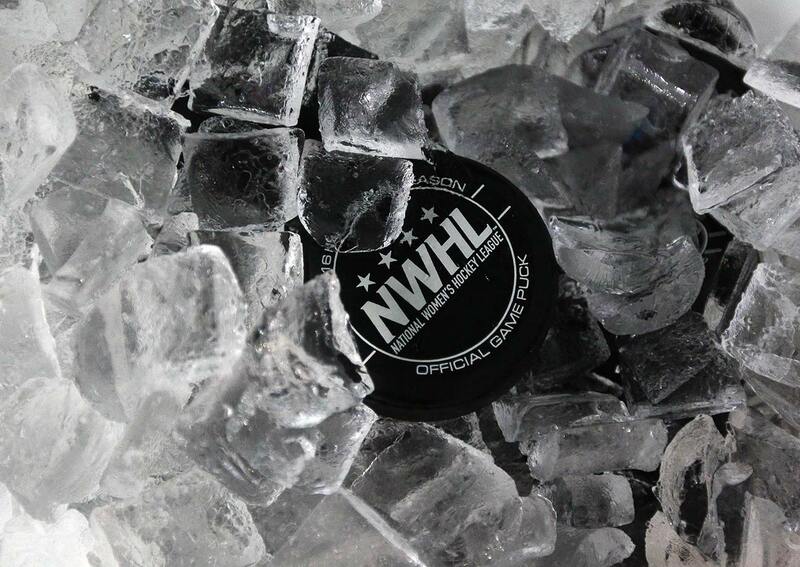 A former Northeastern forward, 28-year-old Dani Rylan, was looking to start a pro women’s league in the U.S., a league that unlike its Canadian counterpart would pay its players. (CWHL players receive protective gear from league sponsor Bauer but will go without paychecks until the 2017-18 season when a salary plan begins.) At first, the 23-year-old Laden didn’t believe what she heard. “I found the whole idea of it almost too good to be true,” she says, but as she watched the league take shape, she was impressed. And when she learned one of the proposed franchises, the Hartford Whale, would be located just 40 minutes from her school, Laden was sold. As a free agent—the league drafts players after their junior seasons—the recent grad inked a deal with Hartford, good for $14,000, early last summer. 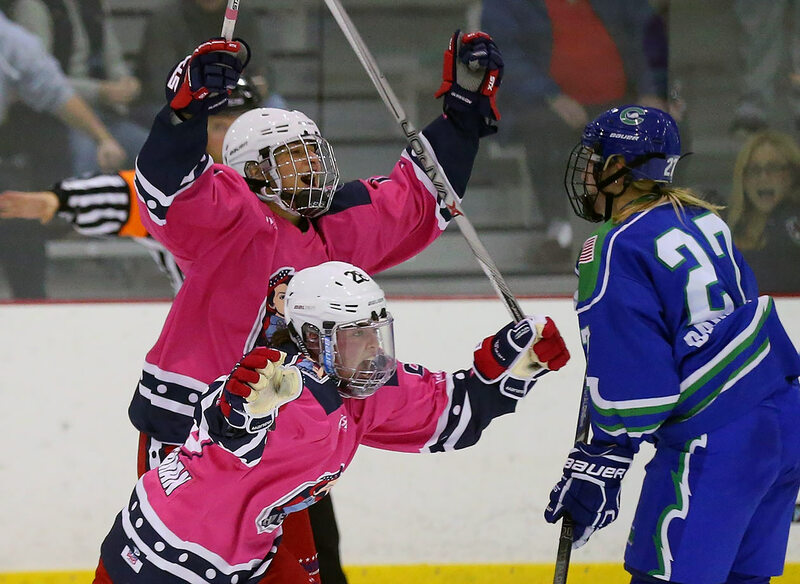 Laden’s salary is worth slightly less than the league average of $15,000, which is doled out over the NWHL’s six-month, 18-game season. (Each team's salary cap now sits at $270,000 for 18 players with a minimum salary of $10,000.) It’s certainly not NHL money. It’s not even WNBA money. But it’s a start, and Rylan, the league’s commissioner, structured operations so that women like Laden can work 9-to-5 jobs or further their educations while also playing. 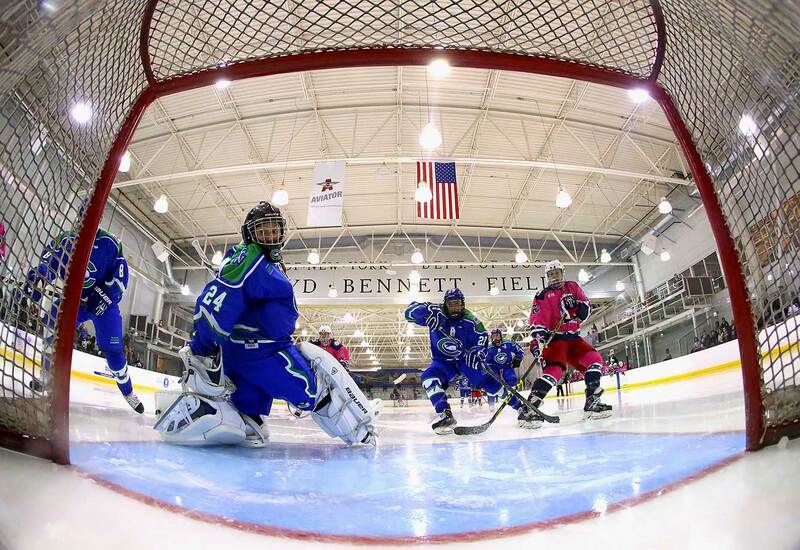 Twice-weekly practices are held in the evenings, and early draft allows players a full year to secure affordable housing and employment in whichever city picks them: Hartford, New York (Riveters), Boston (Pride) or Buffalo (Beauts). 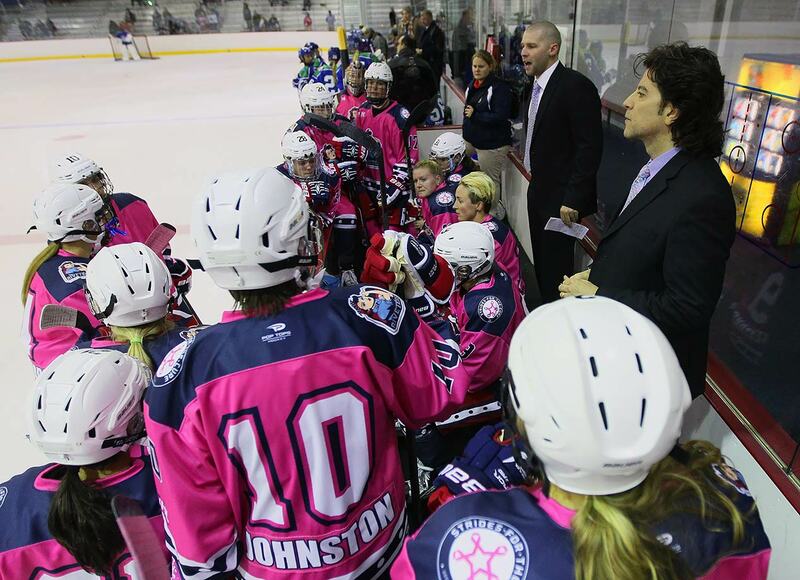 For now, the NWHL is a lean enterprise. It employs barely more than 100 people, including coaches, general managers, office staff and players, and with its four teams all on the eastern seaboard, its geographic footprint is small. That’s intentional. The scale of the operation cuts down on travel budgets and operating costs, crucial for a league whose existence wasn’t guaranteed until an anonymous benefactor donated ice time. 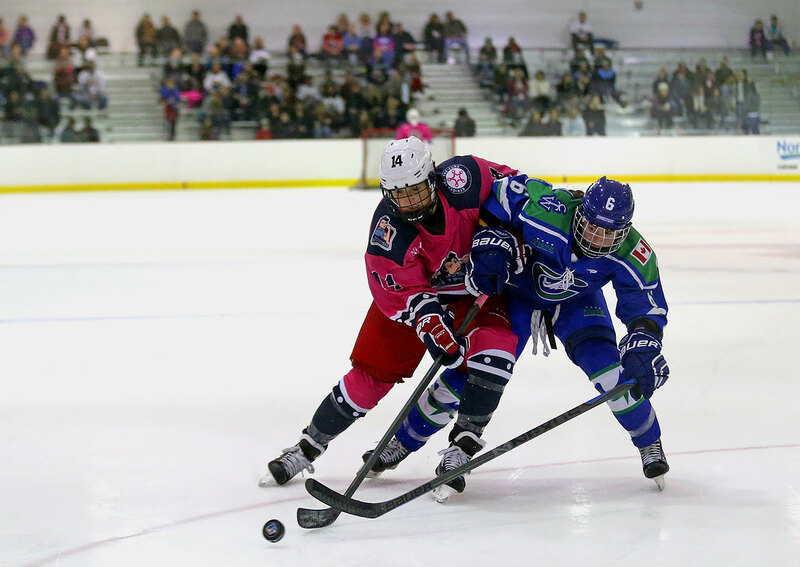 Expansion, Rylan hopes, will be in the cards someday, but for now the NWHL is looking to gain a foothold in markets that already hold hockey dear. 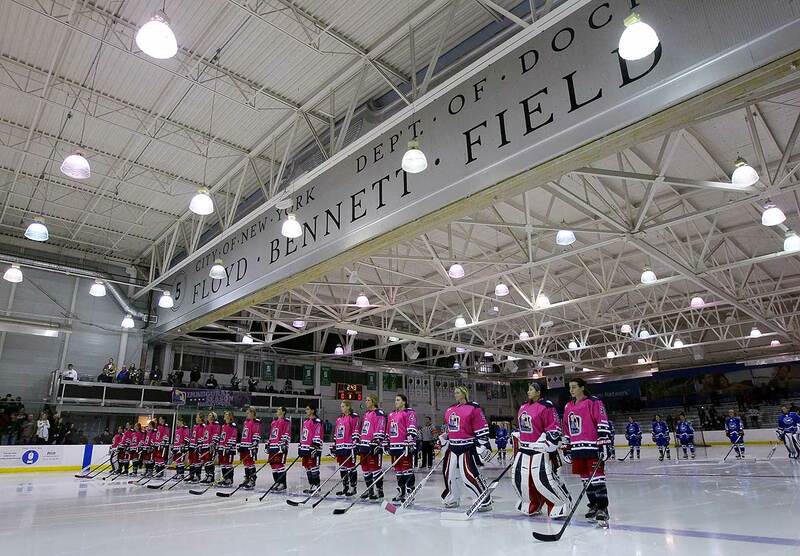 The league gained a crucial note of celebrity in early October, when it signed 14 members of the U.S. Women’s National Team, including Hilary Knight, Brianna Decker, Kacey Bellamy and Megan Bozek. The women made the decision to move from the CWHL as a group, and not without doing their due diligence to make sure their best interests would be represented. “The way (Rylan’s) interest was for us players, it was all about us and making sure that whatever was going to happen would be in the best interest of the players,” Decker says. Decker, who won a silver medal in Sochi, sees the league as a means to grow women’s hockey in the U.S. and bring it to a stature similar to that of women’s soccer. “It gives me the chills to think that we could possibly have that someday,” Decker says, and her hope isn’t unreasonable. The Olympic gold medal game in which she played against Canada in 2014 drew 4.9 million viewers, up 96% from 2010. 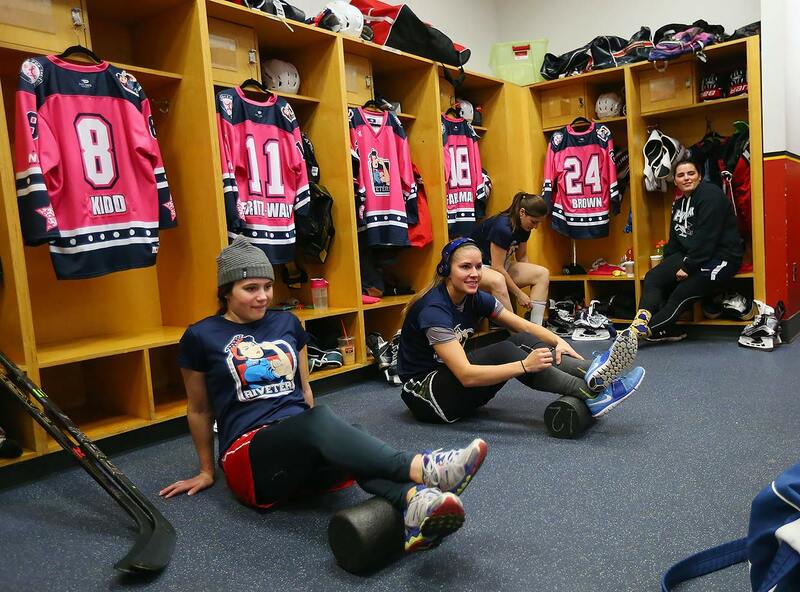 Still, the NWHL has a long way to go before it becomes a household name. There’s a first season to play (the league kicked off Oct. 11) and publicity to garner. The league offers a free streaming service dubbed Cross-Ice Pass, but that alone won’t be enough to garner a huge fan base or consistent mainstream media buzz, although there have been hopeful signs. Thus far, such major outlets as SI.com, Puck Daddy, ESPN, The New York Times and Los Angeles Times have provided coverage. 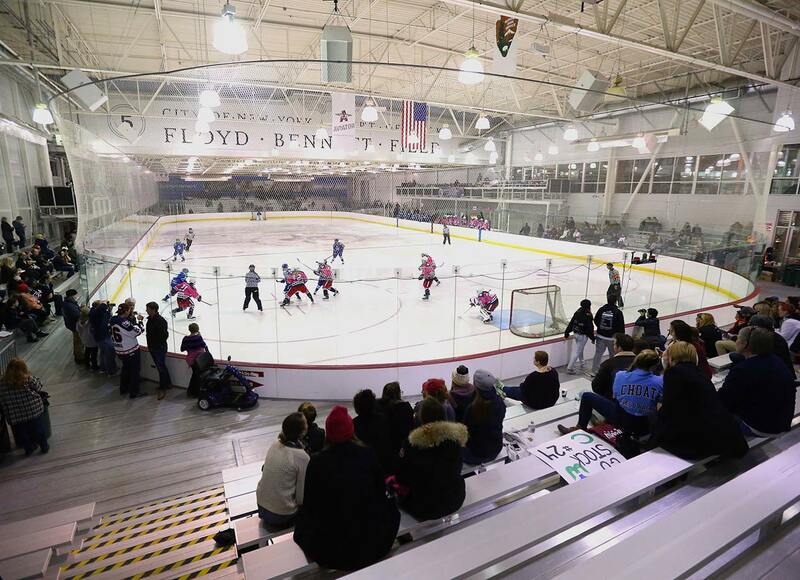 The NHWL also issued more than 30 press passes for New York’s home opener at Aviator Sports and Events Center in Brooklyn. The league will have to aggressively market and catch onto the momentum of the lead-up to the next Winter Olympics, in Pyeongchang, South Korea, in 2018, and though many within the league hope for an NHL partnership, Commissioner Gary Bettman’s remarks in April when the NWHL went public indicated that it will need to gain a greater foothold before the men consider establishing a partnership on par with what the NBA and WNBA worked out. But for now, Rylan is content that a league that was nothing but a vague notion at this time last year has put puck to ice. In the near term, her goals are smaller: raise money, secure sponsorships, market the living daylight out of her teams’ games. But others within the hockey community are looking further down the line, she says. Just recently, Rylan was asked where she sees her project going in 15 years—and when she thought of her answer, it was staggering.